Gene expression patterns are dependent on their internal cell environment of their DNA, their immediate internal cell environment, and the integrity of their DNA. It also depends on the cell's external environment comprised of signals from other parts of the body including chemicals, nutrients, and/or mechanical stress. Gene regulation is achieved by a wide range of mechanisms that cells use to control whether genes are transcribed, when they are transcribed, and to regulate the quantity of certain proteins based on the cellular and/or environmental feedback. Proper regulation of gene expression is required by organisms to respond to continually changing environmental conditions. Some bacterial genes are transcribed as a unit under a regulatory system called an operon which contains functionally related genes. Three well studied operons include the lactose operon, histidine operon, and tryptophan operon. Gene regulation in higher organisms can occur at various stages from DNA level to protein assembly. 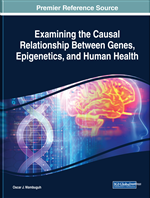 This chapter explores this aspect of genes. Explain the basis of gene expression and the need for regulation. Illustrate using a bacterial model how operons work. Summarize how the tryptophan operon works. Outline with examples how gene regulation occurs in higher organisms. Some bacterial genes are transcribed as a unit under a regulatory system called an operon. Three well studied operons include the lactose operon, histidine operon, and tryptophan operon. As explained in detail below, the key regulatory element of transcription initiation in operons is called the operator, a specific DNA sequence which binds a regulatory protein called a repressor. Operon: Structure consisting of a cluster of co-regulated genes transcribed as a single mRNA and plays a role in regulation when binding to repressors or inducers. Activators: Molecules that recognize and bind to enhancer sites located upstream of the promoter region. Splicing Regulatory Elements: Elements of gene expression between transcription and translation that play a role in protein processing and degradation. Lac Repressor: Protein that acts as a negative regulator and prevents transcription by RNA polymerase when lactose levels are low. Insulator/Insulator Protein: A group of elements found between the enhancer and the promoter. Operator: The key regulatory element of transcription initiation in operons that is composed of a specific DNA sequence. Inducer: Protein that binds to the repressor, thus preventing the repressor from binding to the operator. Transcription Factors: Family of proteins that regulate (activate or repress) gene expression and thus transcription. Competitive DNA Binding: A competition to bind DNA when there is overlap between enhancer and silencer sequences. cAmp Receptor Protein (CRP): A regulatory protein that binds cAMP and causes a conformational change in CAP. Catabolite Activator Protein (CAP): The cAMP-CRP complex that allows CRP to bind tightly to the promoter to begin gene transcription. Ribosomes: Organelles that synthesize proteins. Silencers: Specific sequences upstream of the promoter region that prevent RNA polymerase from binding to the promoter, thus curtailing gene transcription. Cyclic AMP (Camp): An intracellular protein activator or second messenger in signal transduction of various cellular processes. Enhancesome: A type of enhancer containing multiple sites for activator binding. Positive Gene Regulation: Gene regulation that results in increased enzymatic activity in the presence of product; in contrast to negative gene regulation. Attenuation: A modulation system in which transcription is halted before the operon genes are transcribed. Repressors: Molecules that bind to the operator to halt transcription of a particular gene. Promoter: A specific region upstream of the DNA sequence that regulates transcription by binding to RNA polymerase II. Lactose Operon: An inducible system that requires an inducer (lactose) to remove a repressor protein from the operator site in order to begin transcription of a gene. Tryptophan Operon: A regulatory system that, in the presence of tryptophan, will turn off transcription by binding to the trp repressor, thus preventing RNA polymerase from accessing the promoter.